"You have to always look ahead, always be positive. It's your choice, your destiny. You have to enjoy life but still have a personal social responsibility, but I won't have any criteria imposed from outside, from my peers, Wall Street, quarterly results. I like to release the psychological pressure"This statement was made by Stan Shih. Despite hailing from a poor family, Stan Shih became successful in establishing himself as an internationally acclaimed and popular figure. The Time magazine awarded Shih with the respect of being one of the “60 years of Asian Heroes” whose personal approach turned Taiwan into a PC-manufacturing powerhouse in the year of 2006. Other than that, Business Week also selected Shih as one of the "25 Stars of Asia" who care deeply about societies and want to make a difference. The great man was born on December 8, 1944 in Taiwan (the Republic of China), a state in East Asia. He was just 4 years old when he lost his father and thereafter helped his mother earn a living by selling eggs. He got his preliminary education from his mother's business. However after his dedication, Stan Shih went to get a Bachelor’s and Master's degrees in Electronic Engineering from National Chiao Tung University. 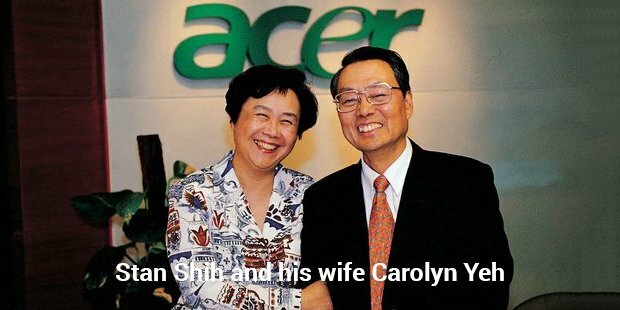 His dedication and a great understanding of his niche and the real world helped him launch Acer in 1976 and take it to the position of being the world's second-largest PC manufacturing company. Acer is today known as one of the best Taiwanese brands internationally. 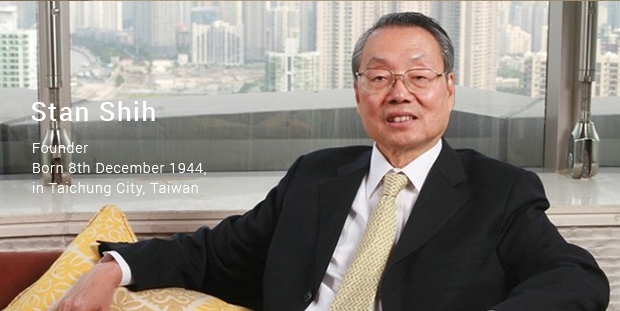 Stan Shih is today the Chairman of Acer Inc., director of Qisda Corp and the Group Chairman of iD SoftCapital. Acer has been an internationally acclaimed brand and joined the league of top PC manufacturers. When the top two top executives quit, the company went through a reformation. Stan Shih along with his team of experts tried every possible means to revive the company and later Acer came back in its original position. Despite the tremendous problems and losses that Stan Shih sufferer, he always looked forward and never remained stuck with his problems. When he was asked at an interview about why did he chose to come back after this loss, he said, "At some point, you have to retire but the main reason I came back was my personal social responsibility, not my investment”. There were so many shareholders, so many employees and partners under Acer. Shih's son, Maverick today heads the company's BYOC and tablet group and helps Stan Shih keep up with the tremendous market pressure and stiff competition. The other factor which catered to Acer's losses is a huge reduction in demand of PCs. Stan Shih's positive outlook and his close association with the employees has always helped him overcome the obstacles. He once said in an interview that "I think all our efforts have had a good result it's too early to claim an achievement, but we're encouraged." In this way, despite facing so many roadblocks he is now the owner of a successful IT company, headquartered in Taiwan. Shih is known to be a gem of a person professionally as well as on the personal front. His wife of 43 years, Carolyn Yeh, is a happy spouse despite her initial reservations. Stan Shih reportedly used to get up in the morning and take a walk with his wife. He mentioned about his wife that "She supports me and she can see it's (the company) stabilized and turned around gradually," crediting her for looking after his health." How Do CEOs Spend Their Money ?